The Times reports on a six-month investigation into forced marriage and visas. The story suggests the UK’s visa system is being manipulated by individuals and families involved in perpetrating a forced marriage. The Times claims that individuals are being issued visas despite concerns being raised that they are related to cases of forced marriage. 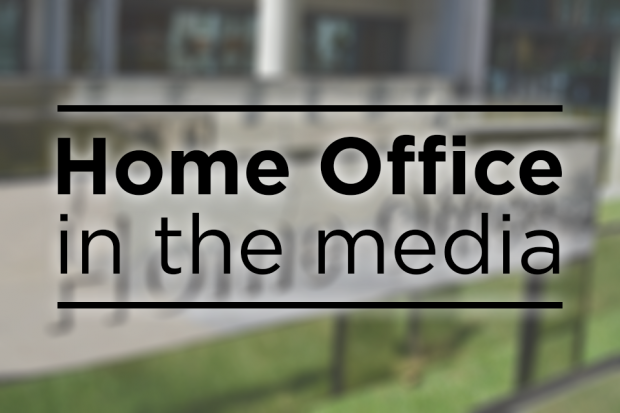 An FOI request showed that 42 visas were issued in 2017 despite concerns related to forced marriage being raised. The paper includes parts of the below Home Office statement, which makes clear all cases are investigated and visas only granted if it is decided that no further action is necessary. The UK is a world-leader in tackling the horrendous crime of forced marriage, and work to combat it is an integral part of our cross-Government Violence Against Women and Girls (VAWG) Strategy, published in March 2016. We take our safeguarding responsibilities very seriously. If an individual refuses to act as the sponsor for a visa application then under the immigration rules, that visa should not be issued. There are a number of reasons why cases are referred to the forced marriage unit, not all of which are the result of a reluctant sponsor getting in contact. In some cases it will be decided, following enquiries, that no further action is necessary and a visa will be issued. The Guardian, Telegraph and Mail report that cocaine is increasingly becoming a marker of the UK’s socioeconomic divide, according to figures from the crime survey of England and Wales. The articles note that according to the Home Office’s annual drug misuse report, the use of cocaine is up in wealthier homes and down among the poorest. The report shows that the use of cocaine in powder form among those in the richest bracket has increased from to 3.4 per cent from 2.2 per cent in 2014-15. Drugs devastate lives, ruin families and damage communities. While overall levels of drug misuse are similar to a decade ago, we are concerned about the increase in use of class A drugs and remain absolutely committed to reducing the use of these drugs and the harms they cause. Our Drug Strategy brings together police, health, community and global partners to prevent drug use in our communities and help those with drug dependency to recover and turn their lives around. As part of our Drug Strategy we will continue to support programmes which have a positive impact on young people, giving them the confidence, resilience and risk management skills to resist drug use.